Sena is an average sized, blonde haired, and large breasted girl. Basically the definition of a stupid blonde, that is what her appearance portrays. Her perfect body has the habit of drawing the attention of everyone. Boys, girls, men, women, and especially perverts. Sena is also quite athletic despite her dumb blonde appearance. Being capable of performing exceptionally in athletic events, such as track and tennis. In life, she had the habit of wearing flamboyant, tight fitting clothes that showed off her appearance. However, there was one accessory that remained constant throughout her clothing, and that was a butterfly clip in her hair. She had worn it as long as she could remember. Defining character traits: Sena is quite athletic and academically smart, easily analyzing situations and is capable of performing well in athletic events, such as track and tennis. On the other hand, she is an idiot, lacking any sort of common sense and often ignores the advice of others, thinking herself to be better than everyone else. She is also a perfectionist, going to great lengths to complete something perfectly. History: Sena was born into a rich family’s household. With loving parents and servants, she lived a happy childhood, without a care in the world. She got everything she wanted, dolls, posters, clothes, there was no limit to what Sena’s parents would give her. The only exception to that was her tutor. Even though Sena was incredibly smart, picking up on subjects easily, her tutor was incredibly boring. Always working on the subjects she hated the most, such as history and buisness, neither of which she even wanted to bother with. Then came her middle school years. Sena’s parents had chosen not to send her to elementary school so they could have better control over their daughter’s learning. But they had realized that is Sena didn’t have any social relations, she would get nowhere in life. 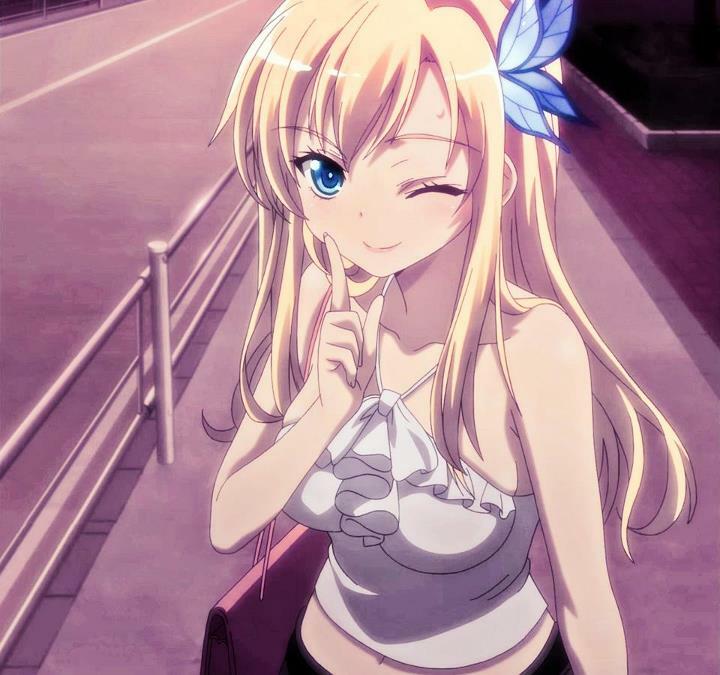 At first, Sena thought herself to be a regular girl. But she quickly realized that she was both mentally and physically superior to the other students and took advantage of that. Looking down upon and mocking the other children. She even had the habit of talking back to the teachers when she disagreed with their methods. She continued this attitude in school until her third year in high school. It was in this year when she suddenly realized that she had made a huge mistake with her social life. She realized that in stepping on and ridiculing all the other students. She had ruined any chance of making a friend, much less forming a relationship with anyone. So one day, Sena cut class to go to the roof of her school, to reflect upon what she had done wrong. Other female students had noticed this, and followed her to the roof, pushing her off of it as if She had committed suicide.